British Columbia doesn't maintain a centralized registry of biomass energy facilities in the province, so in the course of reporting "Smoke and Numbers," we put together our own list from independent sources. Click any dot on the map to view the facility's name, size and a description of its operations. Industry advocates say B.C. could become the "Saudi Arabia of Biomass" -- but that probably won’t be good for the global climate. Not, you will note, “are zero.” No: “shall be zero.” Behind that starkly declarative pronouncement lay months of tense international negotiations over the climate-change implications of burning biomass, or any kind of plant matter: wood, agricultural wastes, or crops grown for burning. In the end, the winning argument was that biomass regrows, recapturing the carbon released when it was burned, and therefore must be OK for the climate. 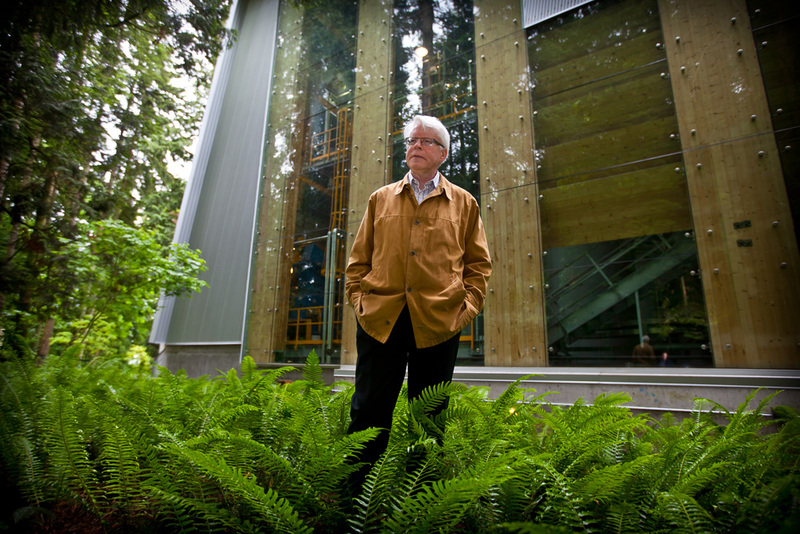 As director of strategic partnerships for the University of British Columbia, Brent Sauder had a major role in shaping plans for the new $34 million biomass power plant on campus, known as the Bioenergy Research and Development Facility. The industrial facility sits just across the street from bluffs overlooking Georgia Strait — some of the most expensive real estate in Canada, in other words. In an on-campus interview last year with InvestigateWest’s Robert McClure for our “Smoke and Numbers” series with The Tyee, Sauder explained UBC’s motivations and rationale for bringing the facility to campus in a partnership with General Electric and Vancouver-based Nexterra. Their conversation has been edited and condensed. Brent Sauder: One of the problems with BC is that we have very cheap power. The development of these kinds of technologies would tend to take place in places where there’s higher power prices. But obviously we want to have good companies grow in British Columbia so this was an opportunity for us to actually get them to develop their product here. When they first came to us saying would we be interested in being a demonstration site, in typical Canadian fashion the only thing we have is land so that’s what we actually put toward the project. We have a site. UBC is about 50,000 students. It’s one of the largest land grant universities in North America and we have our own governance system. We're not the city of Vancouver. So part of the whole thing of this project was to get the social license to actually build a facility like this. Robert McClure: Because it's an industrial facility in the middle of campus? 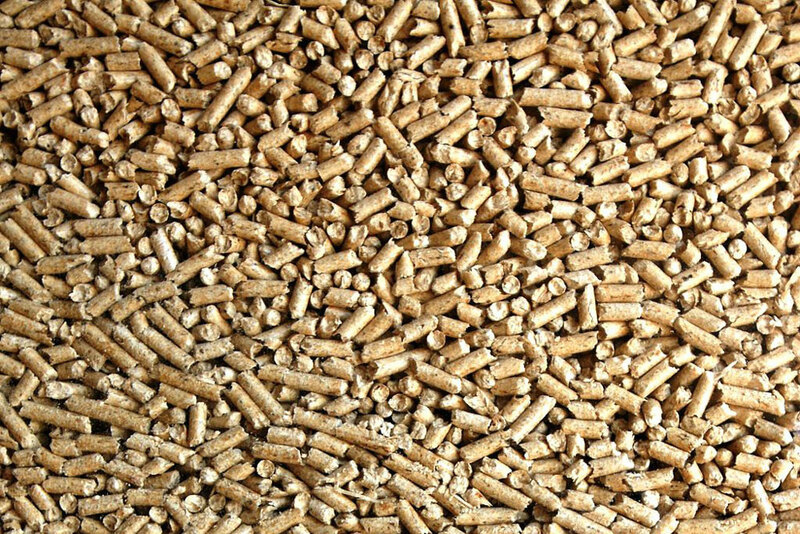 Biomass Fuel: Worse for Climate than Coal? 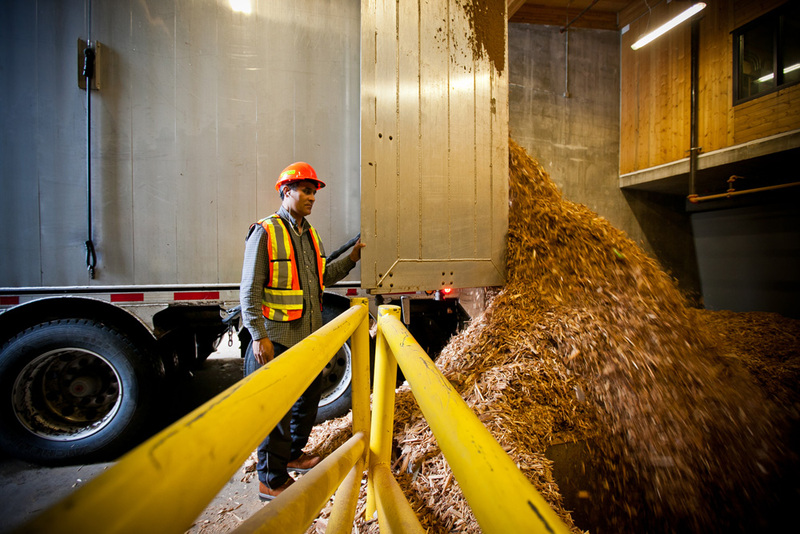 A worker unloads a truckload of biomass at the Univeristy of British Columbia energy plant. For that reason, a well-run modern biomass-burning power plant is much less smoky than a fireplace. 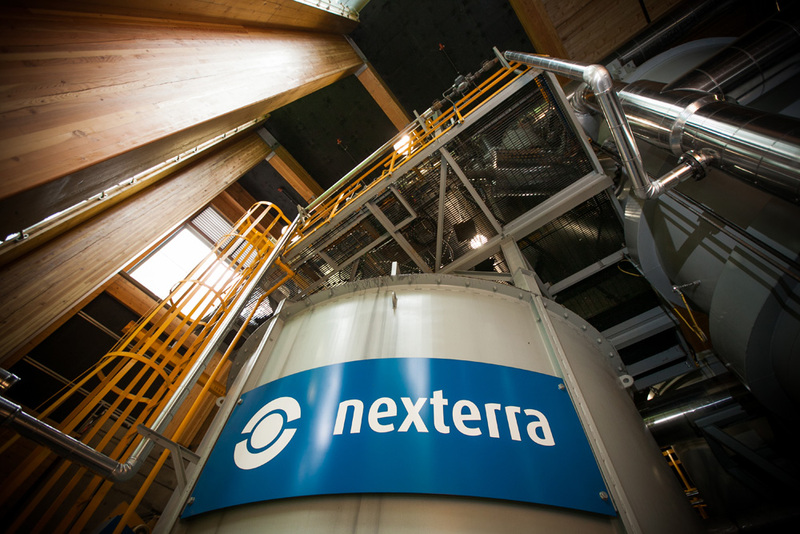 High-tech smoke scrubbers with multisyllabic names like "electrostatic precipitator" and "regenerative thermal oxidizers" scrub their exhaust, and operators work continually to bring down pollution levels, tweaking temperatures and fuels. 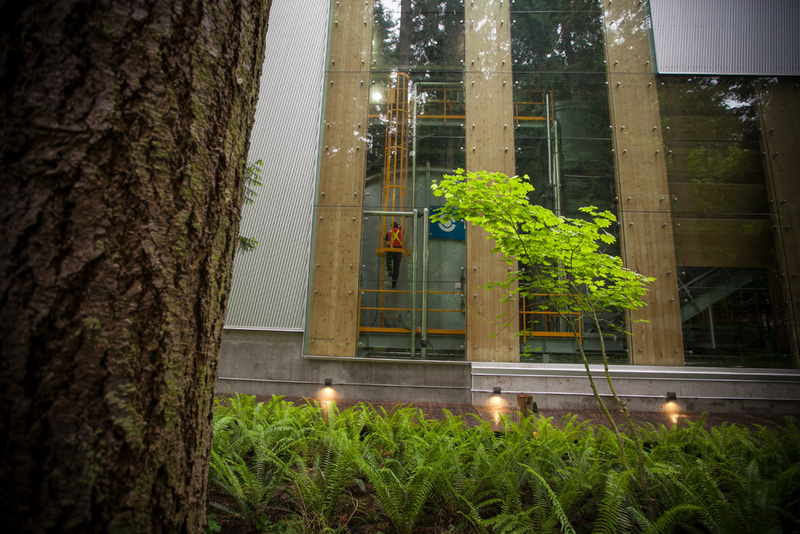 The state-of-the-art may be UBC’s $34-million Bioenergy Research and Demonstration Facility reported on in the first installment in this series: what comes out of its smokestack is even cleaner than emissions from most natural-gas plants.